From our winter "base camp" at Knight's Key campground in Marathon, we can walk or bike the Old Seven Mile bridge span that leads 2 miles out to historic Pigeon Key. The other night on a sunset bike ride I saw people of all ages and abilities: walkers, joggers, bikers, skateboarders, and a woman in a wheelchair. Dogs are welcome too (just please, pick up after them). It's really become an important means of recreation for many people on an island where the highway, US 1, is pretty dangerous for pedestrians and bikers. From it height you can watch for dolphins, sea turtles and sharks in the water below. It's also historic, one of the original bridges Henry Flagler had built back in 1912 as part of the railroad from Miami to Key West, thus connecting that island nation to the mainland for the first time in history. Long story short, it's falling apart, and the DOT, which owns it, really isn't in the business of fixing bridges that don't carry vehicles anymore. They would rather close it for safety reasons. Enter the Friends of Old Seven, a volunteer group that is raising funds (DOT will match them), to fix the bridge. The volunteers are out there everyday, with an information table set up at the entrance to the bridge. 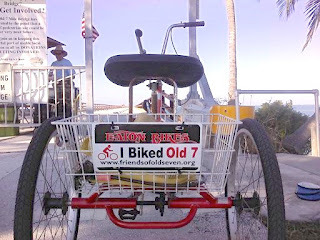 For a donation you can get a T-shirt, tote bag or a bumper sticker for you bike like I did! Bill and I are in the Keys, prepping for a busy paddling season in South Florida. There's a light breeze off the ocean and both the water and air temperatures are in the high 70s. Perfect paddling weather! We're offering a holiday special on two very different, truly awesome trips in February, 2013, each with excellent paddling and wildlife-viewing. Book either the Everglades Wilderness Waterway (Feb. 9-17) or the Great Calusa Blueway (Feb. 12-16) by Dec. 31 and take $100 off. Details on both are below and on our Website. Need a last-minute Christmas gift or getaway? Our first trip of the season launches Dec. 27-30, island-hopping through the Florida Keys backcountry. The Everglades: There is truly no other place like it on Earth. Burnham Guides' Everglades expert Joel Beckwith guides you through an environment recognized internationally for its mixture of rare habitats. Paddle with us from coastal beaches into mangrove swamp and freshwater sawgrass prairie. Joel's knowledge of the 'Glade's little-known, seldom-paddled routes makes our trips always unique and unlike any other, with nightly stops at remote chickees and gorgeous palm tree beaches fronting the Gulf of Mexico. Fishermen: feel free to bring your gear. Birdwatchers: See Joel's 2012 Trip Report for a list of the dozens of birds he identified. People are now reporting Flamingo sightings as well. Closest airports: Miami and Ft. Myers. All trips include sea kayaks, camping gear, meals, and camping fees. 20% discount for bringing own boat and gear. Burnham Guides is expanding! 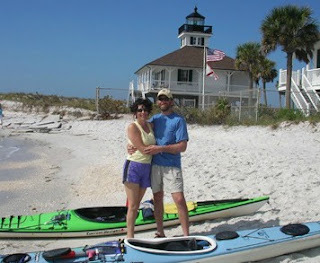 We've come up with a new, five-day kayak trip on the Great Calusa Blueway, Feb. 12-16, 2013. Coinciding with Valentine's Day, why not bring your sweetheart, or meet afterwards at the gorgeous Lover's Key Resort. Spend five glorious days paddling with dolphins, manatee and wading birds on Florida's southwest Gulf coast. We'll pass the famed beaches of Sanibel and Captiva, stay on Cayo Costa, Florida's least-visited state park (accessible only by boat), and explore the watery mangroves tunnels of Sanibel Island's Ding Darling National Wildlife Refuge. The trip includes two nights of island camping, a night in a beachy cottage on Sanibel, and a bayfront inn in the funky fishing village of Matlacha, home of the "fishingest bridge in the world." We'll average 8 to14 miles daily, 55 miles in all. Cost: $1150 per person, all-inclusive of kayaks, camping equipment, lodging and food. Discount for bringing your own kayak and/or camping gear. Email or call 305-240-0650 for more info. Don't delay as trip size is limited. 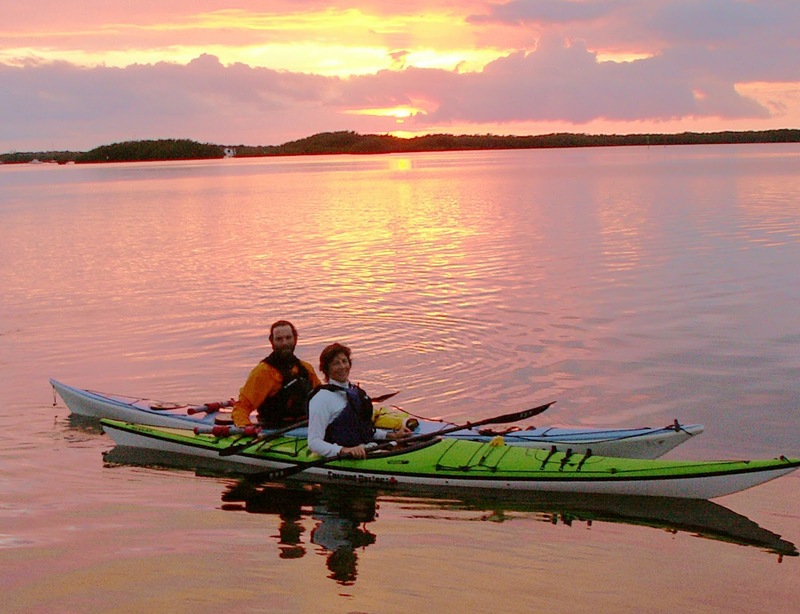 Bill and Mary Burnham, authors of the "Florida Keys Paddling Atlas." Visit BurnhamGuides.com to learn more about our Everglades and Florida Keys trips. March 17-27, 2013: Join the exclusive list of those who have paddled the entire 100-mile island chain on the signature trip inspired by our award-winning book, the Florida Keys Paddling Atlas (participants receive a complimentary copy on booking). Beginning in Key Largo with a St. Patrick's dinner, we'll paddle 10 days across Caribbean blue waters to land at the southernmost point in mainland USA. New in 2013, we're taking paddlers Gulfside to traverse the vast Lower Keys Backcountry for a more primitive and remote experience. Fully-outfitted trip includes kayak, camping gear and all meals. Optional massages during the rest day at the halfway point! Limited to 8 paddlers, this trip has filled up the last 2 years, so don't delay! Click for more details. Email or call 305-240-0650 to book your seat paddling in paradise. 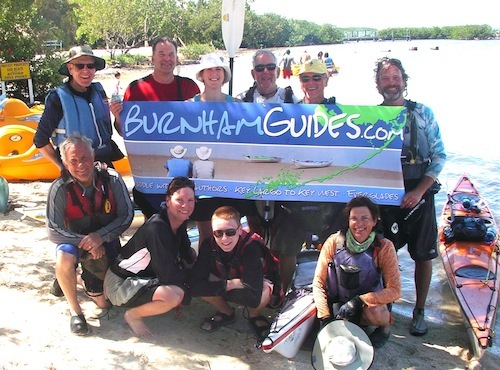 Book a trip by Sept. 1, 2012 and receive 10% off any of Burnham Guides' Florida Keys kayak camping trips November through April, or the Everglades and Ten Thousand Islands in February. Email for more info or call 305-240-0650 to reserve your seat paddling in paradise. 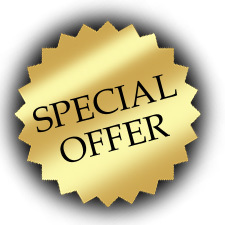 Then Share or Forward this offer to friends you want to join you! We still have room left on the following trips--Visit our Trip Calendar for more dates! -5th annual Key Largo to Key West, 100-mile paddle: March 17-27, 2013. Offered just once a year, so space is limited! "The Florida Keys Paddling Atlas" & "Kayaking for Everyone"
Take this Poll: Where should we go next? And more photos on our Facebook Page. It was so phenomenal, we're planning on running it again in 2013, so let us know if you are interested and want to know the dates as soon as they're set. Just drop us an Email, or sign up for our Newsletter. Here are the trips we will be offering January through April 2013. There's a possibility we will add December trips if there is interest. It's not too early to book a trip for 2013. The first person who books gets their dates and then it goes on the calendar! Mary and Bill Burnham (Burnham Guides) lead multi-day kayak trips in Florida, Virginia, and Costa Rica. They are co-authors of eight books and hundreds of travel articles.